Paul was born in Philadelphia in 1957. His older brother Fred, who is a professional jazz drummer, motivated Paul to study and perform music at a very young age – he first picked up a saxophone at the age of 8. Paul’s teacher and mentor was Robert “Boysie” Lowery, who taught and motivated players such as Clifford Brown, Ernie Watts, and many other jazz musicians on the east coast. While Paul was still in high school, he performed in jazz bands, studio sessions, and orchestras such as Valley Forge Music Fair. He has backed up such artists as Frank Sinatra, Tony Bennett, Mel Torme, Ella Fitzgerald, Barbra Streisand, Ray Charles, and Lena Horne. Before graduating from high school, he studied at Berklee School of Music in Boston. After graduating, Paul toured for several years with Gladys Knight, Aretha Franklin, and Ike and Tina Turner. He then joined a yearlong world tour with Smokey Robinson. His musical education, and career didn't end there. In 1978, Paul and The Duck Soup Band from Philadelphia were offered a recording contract with Warner Brothers Records. He worked on the album in San Francisco for one year, and then moved to Los Angeles where he worked as a studio musician. He also wrote and played on movie scores and television theme songs, and performed with many famous individual artists, including Jimmy Smith, Bill Medley of The Righteous Brothers, Jack Sheldon, Tex Beneke, Horace Height Jr., The Temptations, the Four Tops, The Drifters, The Platters, The Cadillacs, The Shirelles, and numerous other groups and artists. In the summer of 1992 Paul visited Florence, Oregon and immediately fell in love with the town and the surrounding area. Paul moved to Florence from Los Angeles in December 1998. After arriving in Florence, Paul performed and produced school assemblies recreating the history of jazz. He helped raise funds to send the local high school jazz and concert bands to compete in Washington, D.C. and produced other fundraising events, such as Concert by the Lake for the Relief Child Care program, Relay for Life, and Blues for H.U.E.S. Paul has also participated in benefits for The Siuslaw Women’s Center and Florence Food Share. 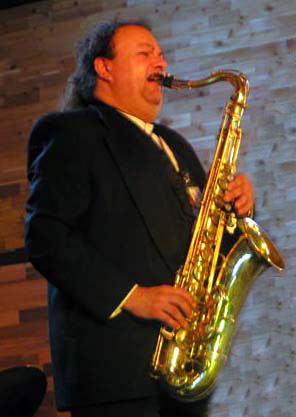 Since moving to Eugene in 2004, Paul, a member of both The Rainy Day Blues Society and The Willamette Jazz Society, has been playing music locally and regionally and gives private woodwind lessons. He occasionally flies to Los Angeles and Nashville to perform with other artists. He and his production company produce events such as The River Run in Laughlin, Nevada, featuring Canned Heat and Rod Piazza, the Chowder Blues and Brews Festival in Florence, and the Lowell Blackberry Jam. Paul continues his fundraising efforts on behalf of local charities such as Food for Lane County, MDA (with University of Oregon’s Duck Football Coach, Mike Bellotti), Legal Aid, and relief efforts for Katrina and the Indonesian Tsunami. On the political front, Paul has coordinated music for “Get Out The Vote” campaigns for Governor Ted Kulongowski, Secretary of State Bill Bradbury, and former President Bill Clinton. Paul is also the founder of MEMA, the Musicians Emergency Medical Association www.memafund.org a non-profit organization that provides resources to musicians when a medical emergency occurs.